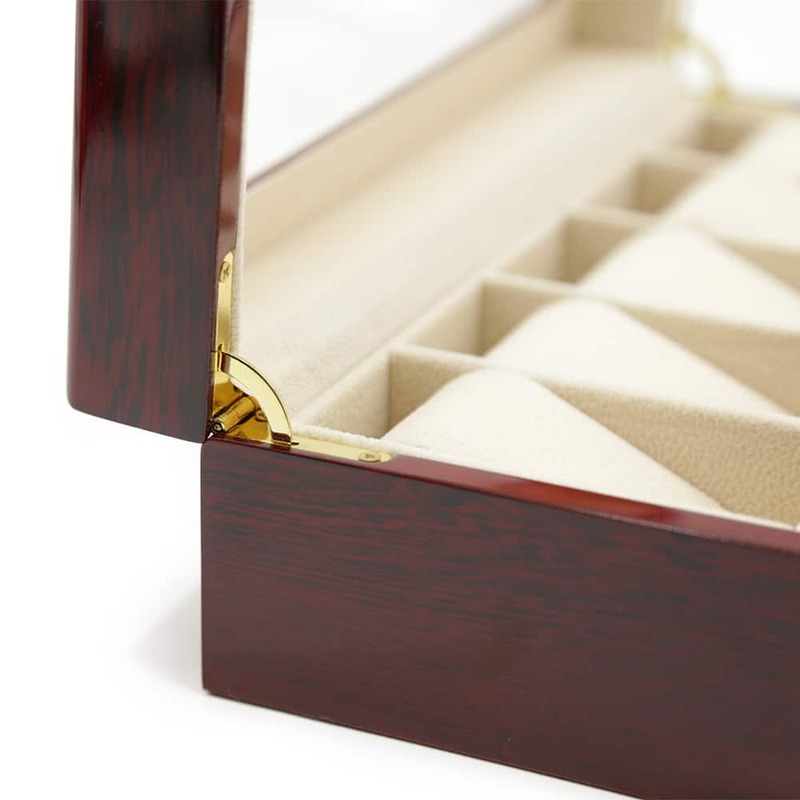 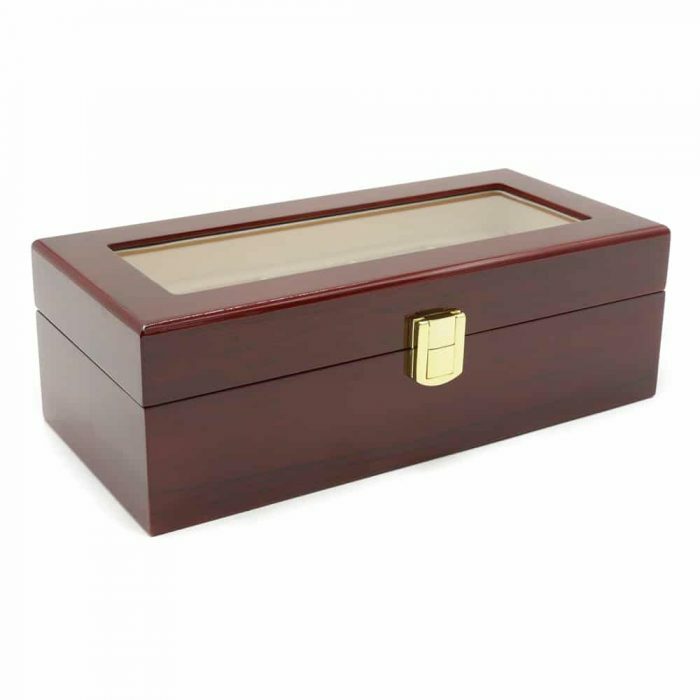 Keep your watches scratch-free and safe from the elements with this luxurious Maple Mahogany 5 Slot Watch Box. 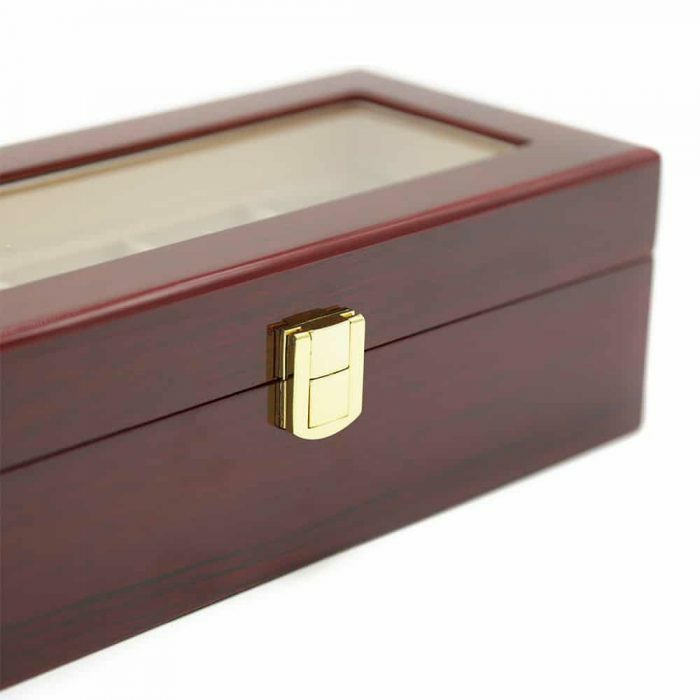 This wooden watch box comes in a beautiful maple mahogany with matching golden features including a latch. 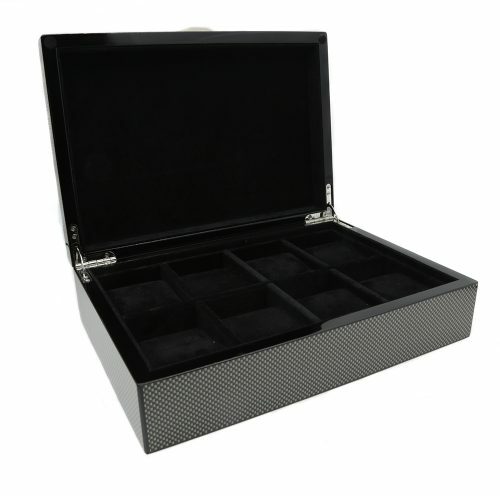 Inside, the interior is fitted with a high-quality cream velvet material with space for 5 watches. 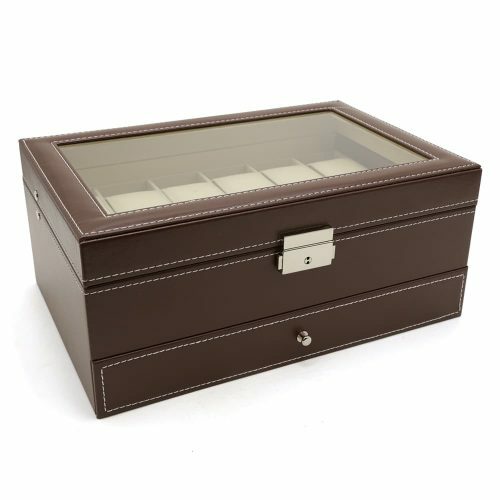 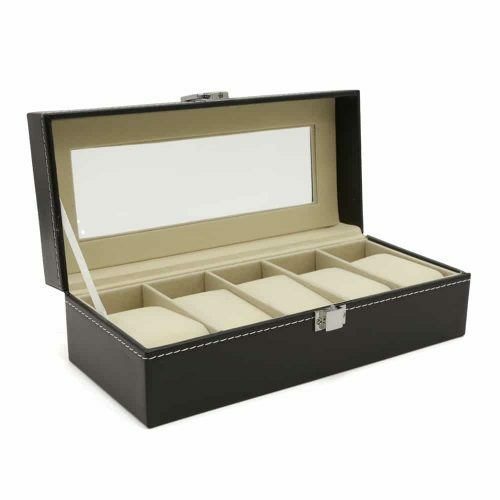 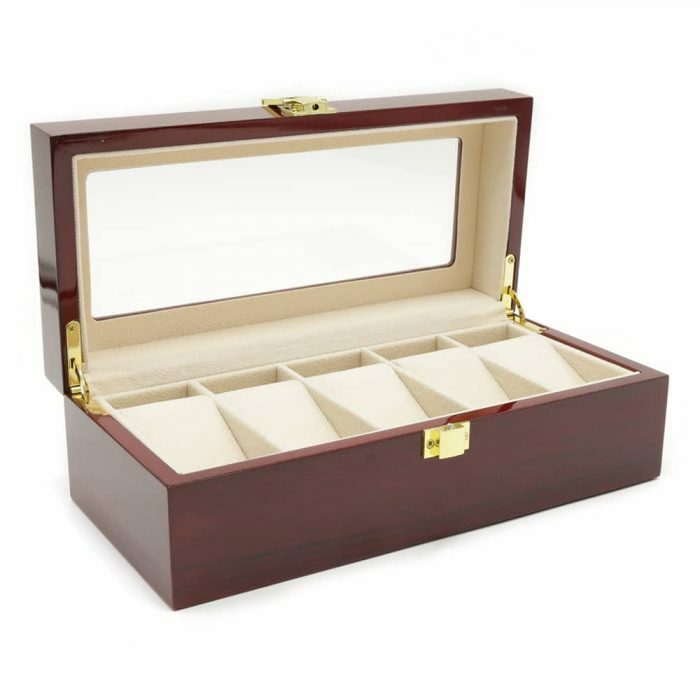 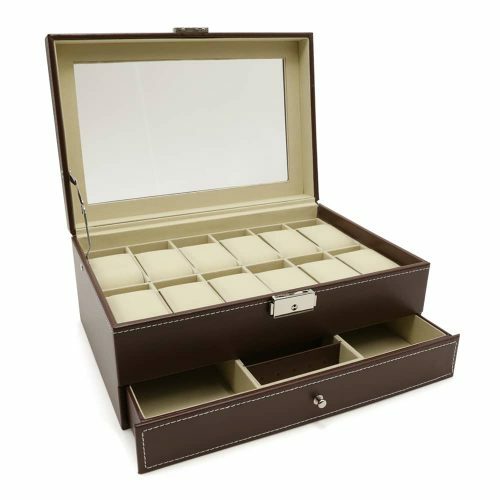 Above the slots, there are also smaller compartments for smaller valuables such as rings, earrings, and cufflinks. 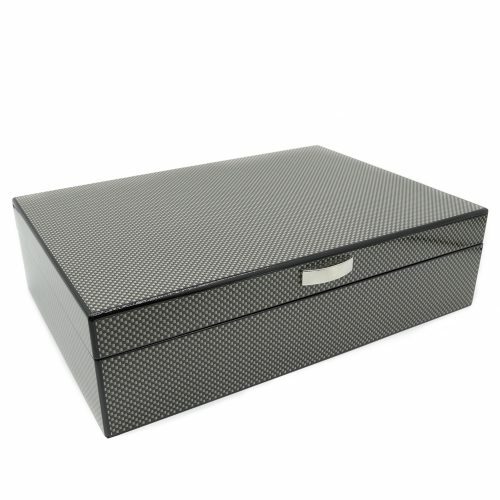 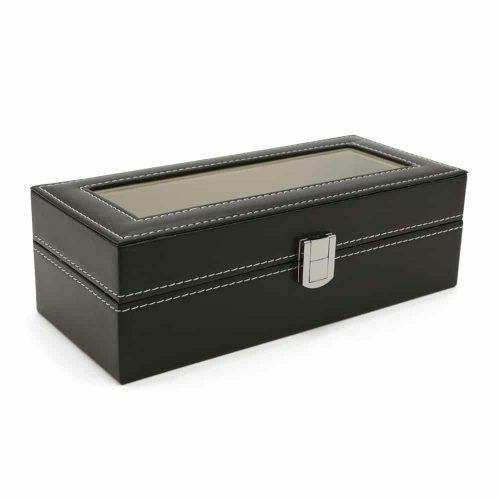 This box is also perfect for putting your collection on display as the lid has a large see-through panel.